Nicolaus Richter de Vroe was born in 1955 in Halle on the Saale and studied composition and violin at the Academy of Music in Dresden enhancing his violin studies at the Tchaikovsky Conservatory in Moscow. In 1980 he was engaged as a violinist in the Berliner Staatskapelle. He concurrently pursued his compositional studies with Friedrich Goldmann and Georg Katzer to a degree in this field. After taking part in several different chamber music, improvisation and experimental ensembles between 1978 and 1980, he initiated the founding of the Ensemble für neue Musik, Berlin in 1982. His own compositions have been played by every ARD station as well as a number of major modern music festivals since the mid-1980’s. In 1988 Nicolaus Richter de Vroe became a member of the Symphonieorchester des Bayerischen Rundfunks, where he has also served as musica viva representative since the mid-1990’s, as well as participating in the preparation of contemporary works for the chamber music series of the Orchestra Academy since 2000. 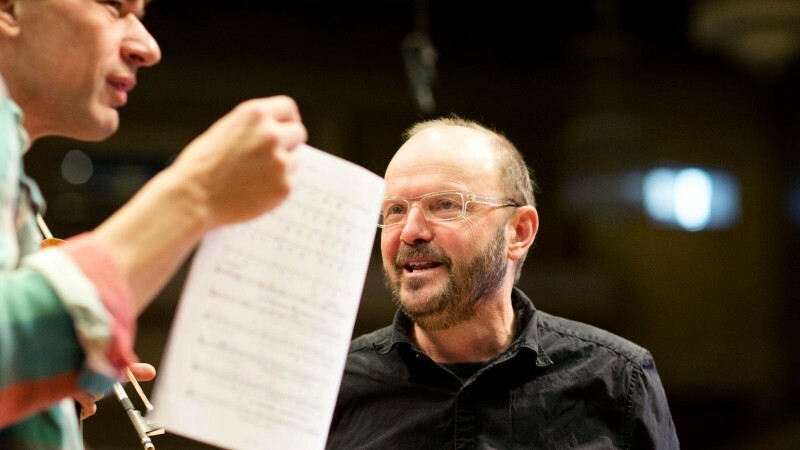 He is the founder of Xsemble München, a special modern music ensemble (1989) and was co-initiator of MGNM (the Munich Modern Music Society) in 1996.